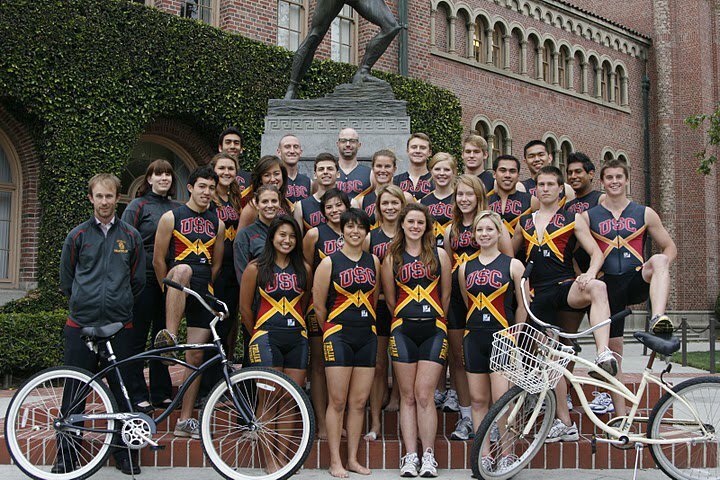 JWCF would like to thank Team Taggart including Malia and Slim, for all of their support fot JWCF at the Pacific Coast Triathlon in 2010! Thank you for all of the huge donations for the fight. JWCF and the Kiteboarding 4 Cancer and Standup Paddling 4 Cancer events support the Children’s Healing Art Project. This support helps bring the healing power of art to child cancer patients in Oregon. JWCF would like to thank the Alpha Gamma Rho fraternity for their ongoing support of JWCF’s mission to bring courage, strength and grit to the fight against cancer. The Spirit of the West Riders, a colorful Old West equestrian group saddled up once again to ride in the Rose Parade and spread the word of the John Wayne Cancer Foundation! The Spirit of the West Riders, who’ve been riding as Team Duke and representing the John Wayne Cancer Foundation (JWCF) since 1999 in the Rose Parade and at other western events, ended 2010 and began 2011, by taking part this past holiday season in the 122nd Tournament of Roses festivities. This event marked the 19th time the Spirit of the West Riders horse backed down Pasadena’s Colorado Boulevard, and the 12th year they’ve been representing the JWCF in the Rose Parade. 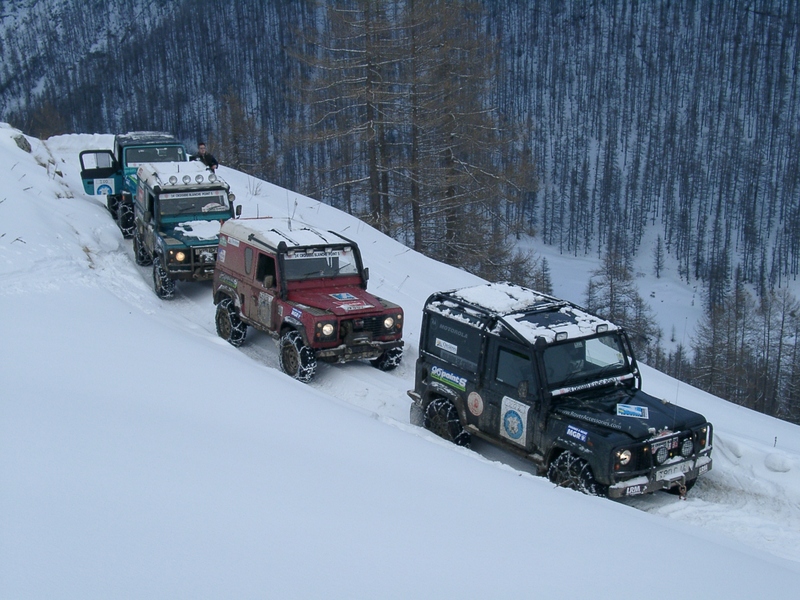 Besides riding in this the largest and oldest parade in the world, the Tournament’s week-long festivities include a special equestrian show called Equestfest, which, along with the parade itself, was televised live nationwide, on December 29th by RFD-TV. In this gala performance, produced and directed by Montie Montana, Jr. the various equestrian units showed their stuff with performances throughout the program. In the arena, the Spirit of the West Riders did their part by keeping the crowd thrilled with different displays of fast-action mounted shooting, which consisted of aerial shooting from a galloping horse (performed by this reporter) as well as an exciting, full gallop sidesaddle shootout/race between Linda Spangenberger and Lori Brown. This performance was immediately followed by a comedic gunfight between an L.A. County Sheriff and several dismounted “bad guys,”…you know, the kind of desperados the Duke used to tame. Needless to say, the Spirit of the West’s mounted acts left the audience cheering loudly and the short and humorous sixgun showdown skit brought the house down with laughter! Despite a couple of weeks of severe rainy weather on the West Coast, New Year’s morning broke chilly and cloudy, but free of rain, and by parade time Southern Californians were enjoying a typical Southland New Year’s Day, offering parade spectators and participants alike a truly unique and colorful pageant as they celebrated the Rose Parade theme of “Building Dreams, Friendships and Memories.” It’s been estimated that several hundred million people worldwide see this annual New Year’s celebration, and the Spirit of the West Riders were proud to be able to do their part in spreading the good word about the John Wayne Cancer Foundation. 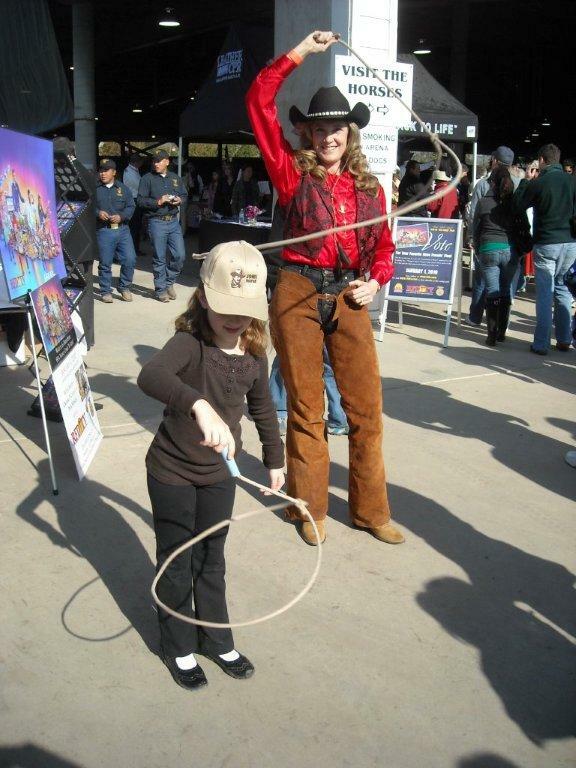 Christy Lewis, a third generation trick and fancy roper, shows a John Wayne ballcap wearing young’un how to twirl a rope cowboy style, during the December 29th Tournament of Roses Equestfest, at the Los Angeles Equestrian Center in Burbank, California. 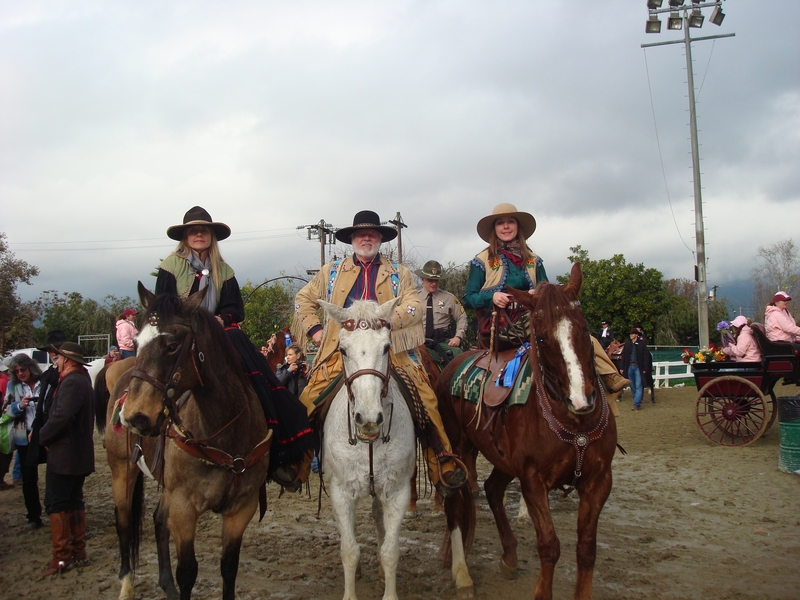 Spirit of the West’s riders (left to right) Linda Spangenberger, Phil Spangenberger and Lori Brown, wait their turn outside of the performance arena. Phil showed the crowd some old-time aerial target shooting while the ladies held a rousing sidesaddle sixgun shootout race. Milliegoat won the 2010 SoCal and Nevada State Cyclocross Championships! This is her third State title adding to her Road and Time Trial Championships. Congratulations Millie! Thank you JET Cycling riders for supporting Team DUKE. JWCF donates sunscreen to the team to help prevent skin cancer. 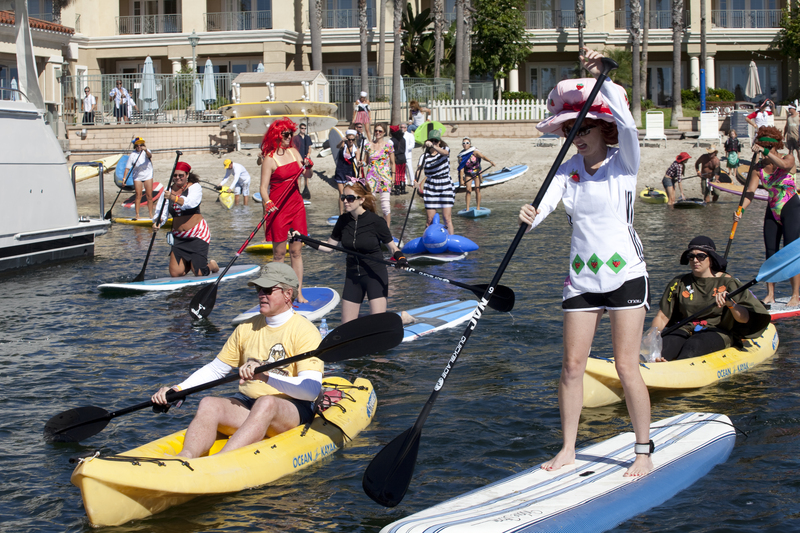 We had some incredible costumes at this paddling event in October 2010. Thank you Mandy at Sup Dog for putting on the event. 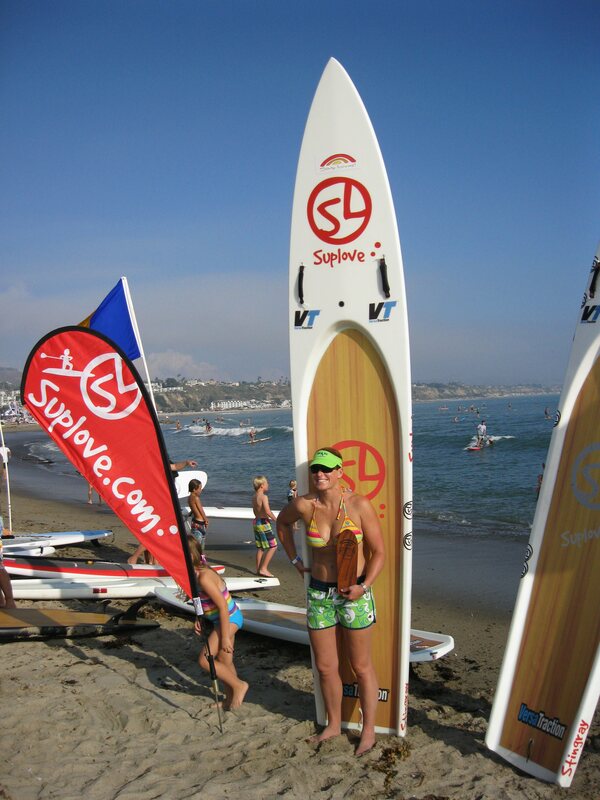 Big thanks to Rainbow Sandals for donating pink sandals, Suplove for donating an amazing stand up paddle board! And thank you Werner Paddles for donating a paddle for the fundraising contest. 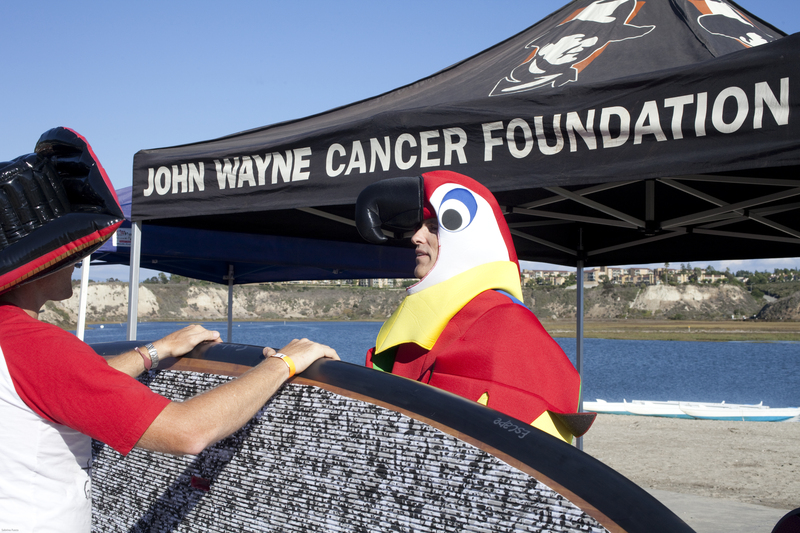 Matt (wearing pirate hat) from Suplove donates a board to JWCF. 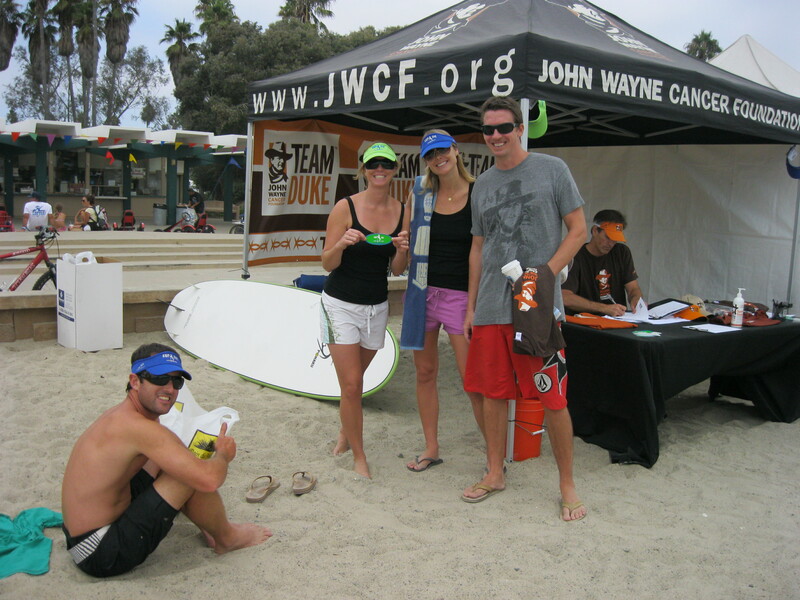 The board was used in a fundraising contest to support JWCF's innovative and life-saving programs. Congratulations to cancer survivor Jeff Cruz for winning the fundraising contest for the Suplove board and Werner paddle. 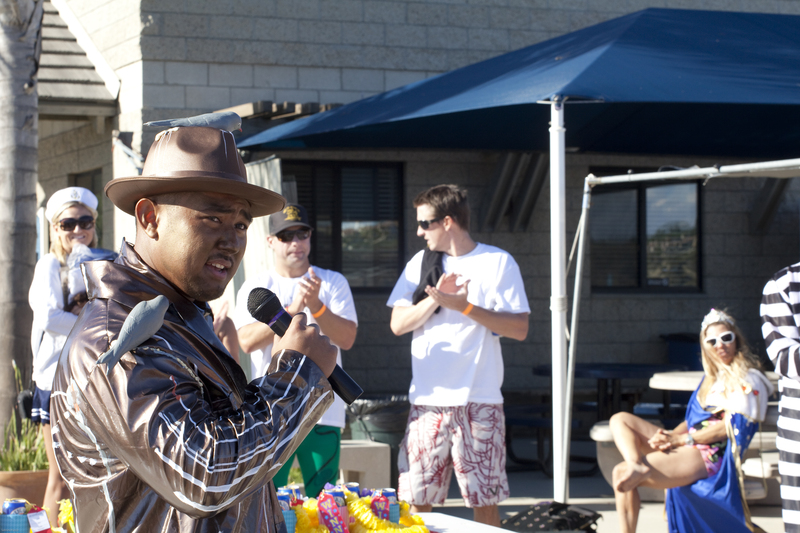 The event was a great way for Jeff to celebrate finishing treatment. The sponsors are all amazing, thank you, big thanks to Suplove, Rainbow Sandals, Werner Paddles, Newport Aquatic Center (NAC), the Balboa Bay Club, Volcom, Quiksilver, Costal Printing Solutions, Sabrina Fusco Photography, SUP Co, Far Niente, Hobie, Danai Hydrosports, Paddle Surf Warehouse, Hovie, Hinano, The Island Image, and more. 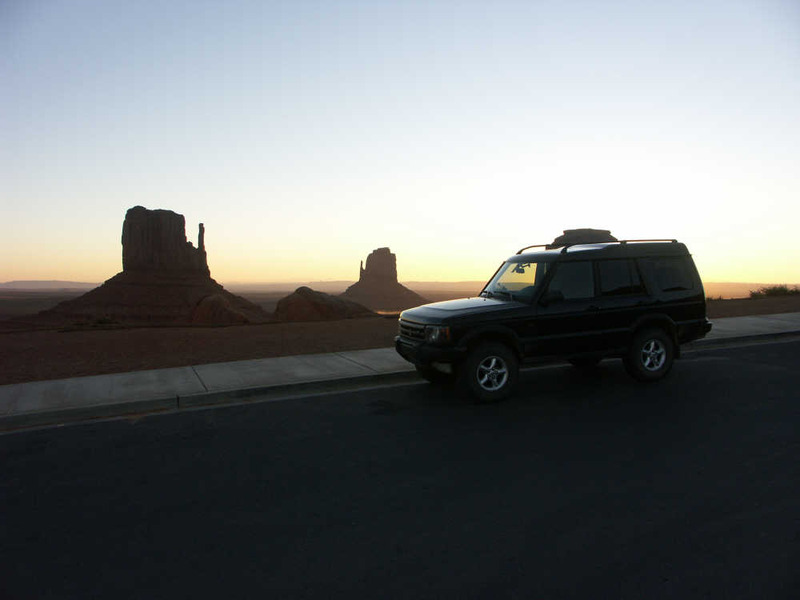 Look for this event again in late October 2011 – right before Halloween. 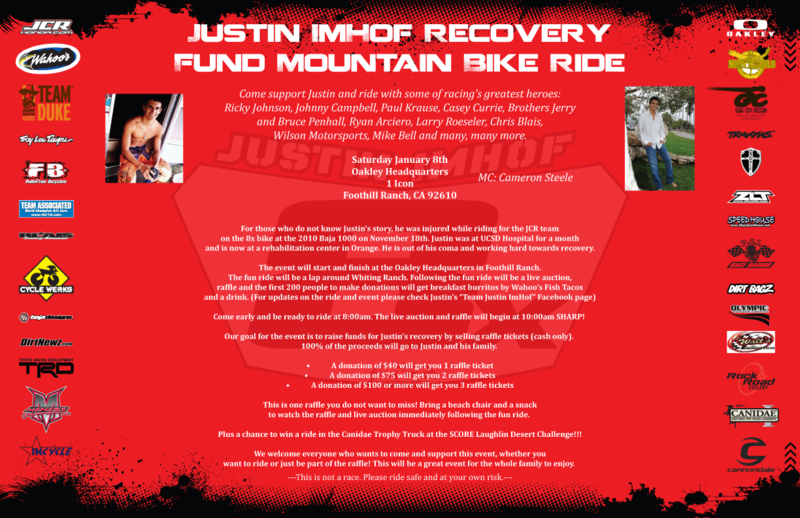 Team DUKE would like to thank everyone for supporting Justin as he recovers from a coma after crashing in the Baja 1000. 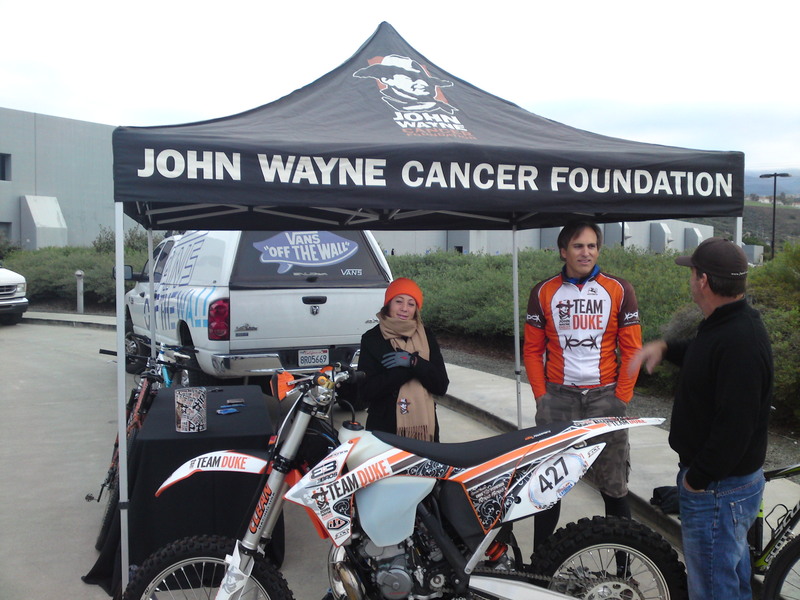 Thank you Team DUKE racer Derek Nye for organizing this event. Big thanks to Oakley for hosting it and to Wahoo’s Fish Tacos for fueling the forces. 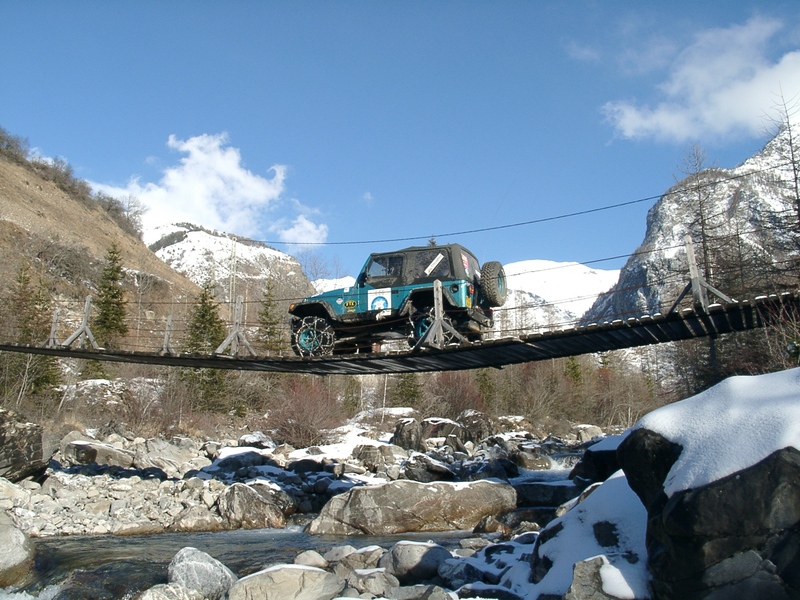 Click here to learn more about her adventure! 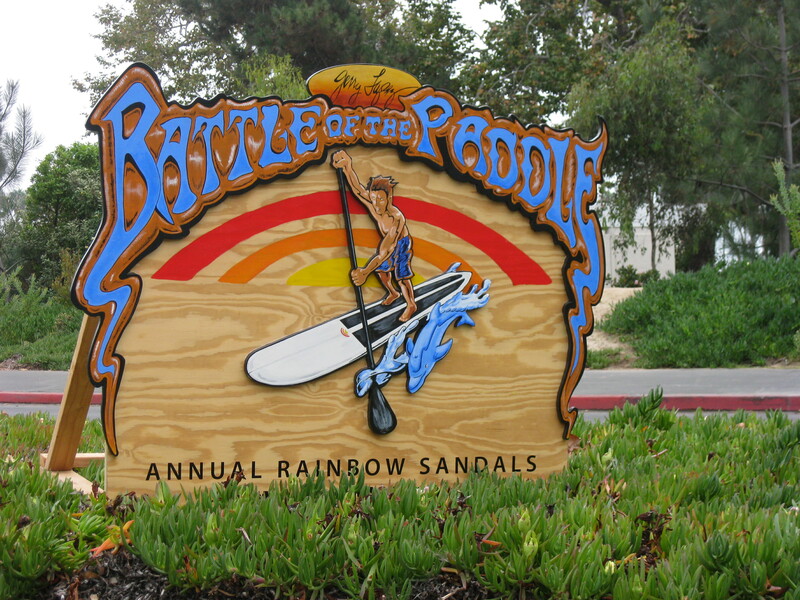 JWCF would like to thank Rainbow Sandals for all of their support at this amazing event!